The sojourn on campus is not an end in itself. It’s a means to an end. If you are ill prepared for that end you will leave in regrets and pains at the end. That’s why I want to show you how to graduate into joy and save yourself regrets. Upon graduation, you are ushered into a world of work; a world of labour; a world of manifestation and you must be equipped to get in there otherwise you get drowned. My focus in this post is to show you how to get properly equipped for graduation. I also expect that if you are getting drowned in the New World like it’s commonly called because you are not fully armed, you should take some lessons from post. There is this general notion that upon graduation, the next thing is to start looking for job. Nothing wrong with it. But in my opinion, I believe that the best preparation for the new world is to equip yourself not only to get job but to create job, at least for yourself. All over the world, there is this talk that technology and dwindling economy is affecting the available jobs for graduates. This has created a situation where getting a job is not easy since employment in many government establishments is everything but transparent. And the private sector is so competitive with all kind of conditions that many graduates in Nigeria today cannot meet. Let me also tell you this: if you prepare yourself to create job, which implies that you are going to start and manage a business or your talent profitably, you are growing over the employee mentality and attitude to work. From my experience if you prepare to graduate a job creator, it helps you that even if you end up getting a job upon graduation, you have attained responsibility, acquired skills and knowledge that will make for peak performance. In fact, your boss will if you prepare to graduate a job creator, it helps you that even if you end up getting a job upon graduation, you have attained responsibility, acquired skills and knowledge that will make for peak performance.have so much confidence in you as part of his team; though some people will see you as one trying to show over sabi. Just ignore them and face your work. So, the most important preparation, I think you should make towards graduation is training, building and molding yourself to create job, at least for yourself. 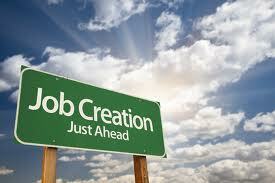 Apart from being equipped to graduate a job creator, you should prepare yourself to graduate highly employable. Like I said earlier, in preparing yourself to create jobs you pick up attitudes and traits that an employer of labour will rush for. The fundamental preparation you have to make for employability is having the in depth knowledge of your core area. You must understand your course! Cramming is not acceptable! You may have crammed to pass exam but you must fully understand your course. The reason is that at work, nobody will ask you, for instance three types of leads for feature articles (for mass communication students). Don’t focus on those junks some lecturers hand out to you in the name of handout or textbook to collect your money. Spend money and buy good books and study. It may not help you get an A; but it’s an investment into your future that makes you and A-person in your field; long after your school grades have been forgotten. You will be given an assignment and to turn in your story, you have to check out for the most appropriate lead to use for your story. What happens in the work environment is an application of what you learnt not a regurgitation of what you learnt. So, you if didn’t learn but creamed, it’s been for you o. If you are still in school take time and get grounded. Don’t focus on those junks some lecturers hand out to you in the name of handout or textbook to collect your money. Spend money and buy good books and study. It may not help you get an A; but it’s an investment into your future that makes you and A-person in your field; long after your school grades have been forgotten. Beyond the knowledge of your course or industry, you should get basic skills you need to put the knowledge into practice. Permit me use media as an example; but you can adapt it in your area. You may have the knowledge of news judgment and gathering. But if you don’t have other ancillary skills like how to record and package it, you will be stranded if the studio manager is not available or when the news needs to be delivered urgently via mail. I have had to write my report, cut the inserts, voice and produce and send it my mail for Zonal News with my computer and headphone. Nobody taught me all of those in school. The computer science we did in second year was outdated computer language they taught us. So, I acquired computer skills on my own. Get basic skills and extra trainings that will help you do your job efficiently. You can’t afford to graduate unequipped. Your opportunity to get equipped is present on your campus. Maximise it! It’s for your own good. Let me tell you something, it’s a source of great joy to me when someone gives me more than you should do, sometimes to nail me, and I still deliver. I like to point out to you that you don’t have to set out time to get equipped for graduation. It’s not something that you can just by attending a seminar. What a seminar can do for you is what I am doing in this article – showing what you should do. The doing of these things is your responsibility. You get equipped in the process of your education. Just make effort to learn your course well. Seize every opportunity you get to speak and build your communication skills, participate in a team, take up leadership roles and practice what you learn, even without getting a dime. What have I said today? You can’t afford to graduate unequipped. Your opportunity to get equipped is present on your campus. Maximise it! « MY SISTER: WHO SAID ALL MEN ARE PROMISCUOUS?